Four weeks ago, thanks to a massive technical failure and a consistent error in creating backups, I lost our feature documentary, ‘Sisters for Sale’. Yesterday, thanks to Laco Gaal and Dave Imison, I was finally able to reconstruct the film, which means we can now go ahead and complete the other translations of the film. I can’t thank Laco and Dave enough for their efforts over the past weeks, and will be much more careful with creating backups in future! After the success of our world premiere in Italy in November, ‘Sisters for Sale’ will have its Australian premiere at Screenwave International Film Festival next Wednesday. Last Friday, ahead of the premiere, I spoke to Fiona Poole on ABC’s Nightlife. It was a 25-minute interview, and you can hear it here (starting from 1.00.00). The ABC’s Simon Foster also published a written interview in Screen-Space, and you can check it out here. Screenwave kicks off this Thursday, showcasing over a fantastic selection of over 60 feature films, both fictional and documentary, including films that have won prizes at some of the world’s most prestigious film festivals – Cannes, Sundance, Tribeca, and the Berlinale. 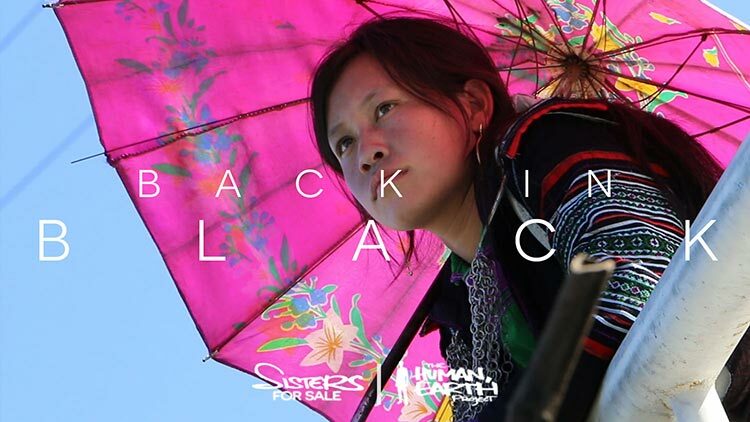 I’ll be presenting ‘Sisters for Sale’ personally at the festival, and will be available for Q&A afterwards. If you’re anywhere near Coffs Harbour, it will be great to see you there! 2018 was a big year for us here at ‘The Human, Earth Project’, and 2019 will be even bigger. Twelve months ago, I was managing the project alone. Our core team now spans four continents. We have a fantastic group of people who have each brought their own unique talents to the project. You might have a little time, or a lot. You might have particular skills and knowledge to offer, or you might just have a desire to help. In any case, you can help us make a real difference in raising awareness of the global human trafficking crisis, and we’d love to have you onboard!